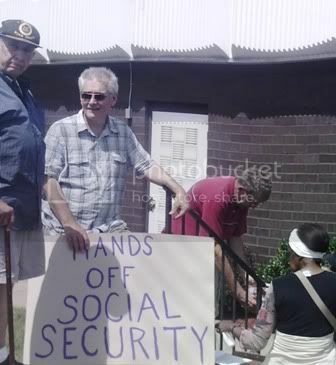 The next vigil to protest Altmire’s intention to cut social security will be on September 15th at noon, 2110 McLean St., Aliquippa. Sorry I didn’t make it but first day meetings at school had some importance and more till 1+ pm. May try to leave personal message to Altmire in the next few days. Further Wednesday meetings right at noon this fall will be just barely possible for me.